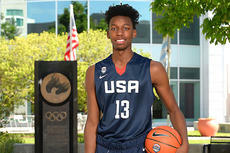 There’s not any one thing that former NBA star Penny Hardaway thinks 6-9 James Wiseman does best for Memphis East. But that’s because he can do so many things well that it is hard to pick which one he does the best. Wiseman is a major Kentucky recruiting target in the 2019 class. “Associate yourself with men of good quality if you esteem your own reputation; for 'tis better to be alone than in bad company.” – George Washington. The people we choose to associate with influence us greatly. Their outlook on certain things, their behavior and their overall personality can rub off on us. The people we are closest to affect our way of thinking, our self-esteem and even the decisions we make. 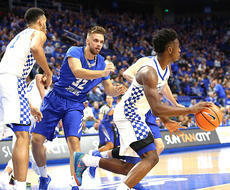 Before Kentucky’s season started, former UK All-American Mike Pratt had a warning — or bit of advice — for fans about the team’s point guard play. “So much is about confidence. That’s why some guys develop slower than others,” said Pratt, the analyst for the UK Radio Network. “If you look at (John) Calipari point guards, John Wall started slow and you could see his confidence build. 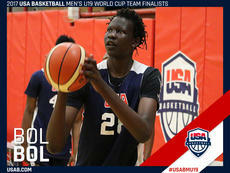 Bol Bol is a gifted 7-3 center who is ranked No. 1 at his position in the 2018 recruiting class. 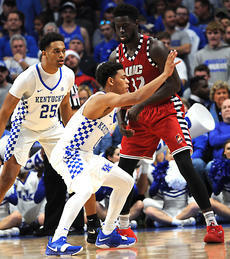 At one time he was thought to be a UK lean until he failed to make the USA team coached by John Calipari last season that included UK freshman P.J. Washington and UK signee Immanuel Quickley. On Tuesday, Oct. 31, the College Football Playoff selection committee released its first rankings for this season with everyone’s attention focused on the top four spots, which will determine this year’s College Football Playoff field. The playoff begins on New Year’s Day with the Rose Bowl and Sugar Bowl - the two semifinal matchups - and ends with the title game a week later. Kentucky freshman center Nick Richards has probably been better than anticipated on offense but not as good as expected on defense — or at least not yet. 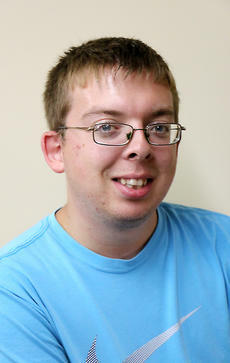 Sporting News college basketball columnist Mike DeCourcy says that is not a bad thing so early in the season. “Offensively he is not a super skilled post guy. He is not Elton Brand. He does not have all those undo the defense moves. Can he catch it? Yes. Can he turn and score? Okay, you can work on that,” DeCourcy said before UK opened its season..
An entire season rested on nine innings. All the work a team had put into getting this far came down to one final game. This was Game 7 of the World Series, and everything that could possibly be on the line was on the line. The stakes were at their highest. This was the night where history could be written and legends can be made. Midway of the 2006 football season LSU not only beat Kentucky, it embarrassed Kentucky 49-0. The winners rolled up 546 yards while holding UK to 227. 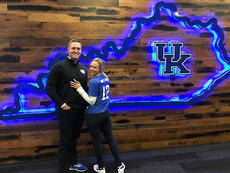 Some thought the loss might cost coach Rich Brooks his job — but his players told UK athletics director Mitch Barnhart they wanted him to stay. Kentucky had an open date before it played Mississippi State. That’s when sophomore receiver Dicky Lyons Jr. guaranteed that Kentucky was going to win the game — a boast that infuriated Brooks. On College GameDay back on Oct. 21, former college and NFL quarterback Tim Tebow gave a rousing pep talk to Tennessee, who was preparing to face top ranked Alabama. The Volunteers were heavy underdogs against the mighty Crimson Tide. Thirty-point underdogs to be exact. That didn’t matter to Tebow, who delivered an impassioned speech directly at the Vols. Hamidou Diallo almost left Kentucky after one semester for the NBA before deciding to stay at UK. 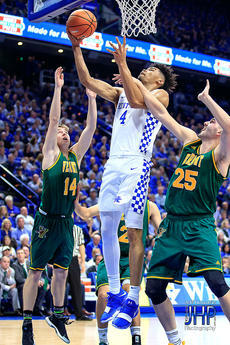 Now he’s being counted on as UK’s most explosive — and one of its most experienced players even though he’s yet to play in a regular-season game — this season. No one doubts his athleticism. He had the best numbers of any Wildcat at the preseason combined for NBA scouts.